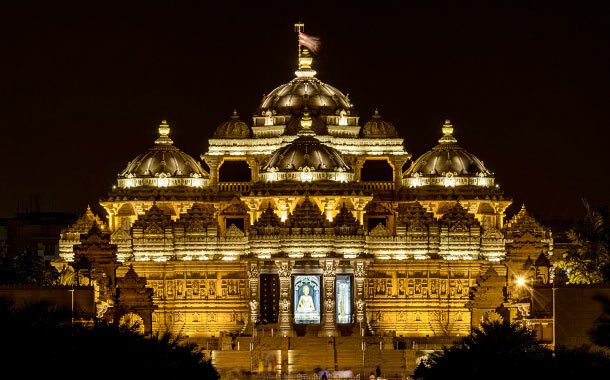 Nestled in New Delhi, the splendid Akshardham Temple is a spiritual-cultural complex. 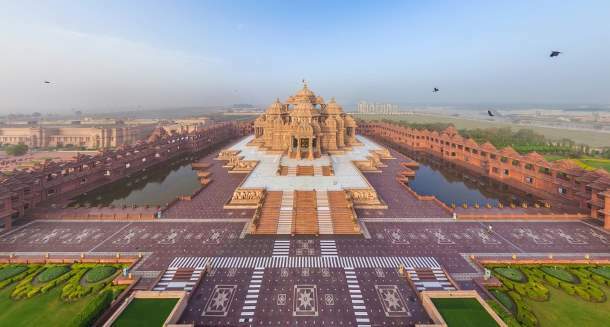 A blend of India’s ancient architecture and modern technology, this place displays endless spiritual messages. The enlightening stone art of this grand temple campus will transport you to a land of eternal bliss. As you step into the temple, you will be mesmerised by the intricate carvings on the temple walls. From deities and dancers to flora and fauna, the stone carvings narrate the mythological stories of our glorious past. Created from Rajasthani pink sandstones and Italian Carrara marbles, it’s an epitome of architectural grandeur. There are 148 life-sized elephant carvings which indicate the importance of elephant in Hindu culture and India's history - the Gajendra Pith is one of a kind. No use of ferrous metal in the architecture promises maximum life span of the temple. 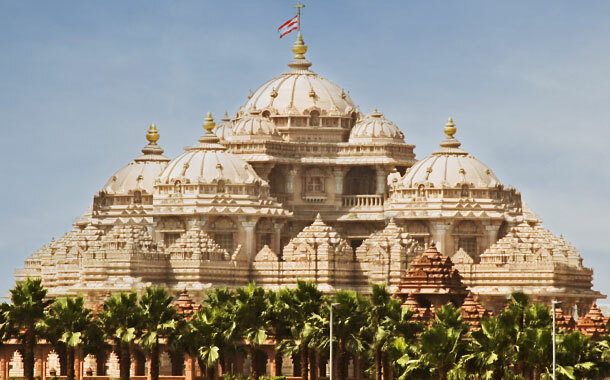 Catch a glimpse of around 20,000 statues of sages, 9 domes and 234 beautifully carved pillars. You’ll be tempted to click pictures, but you aren’t allowed to carry electronic items here. The highlight is the 11-foot high statue of Swaminarayan in whose honour the temple was built. Other idols which this temple houses include Lakshmi-Narayan, Radha- Krishna, Sita-Ram and Shiv-Parvati. The laser show, preceded by an aarti, triggers the dormant spiritual feeling lying in us which builds up the religious commotion. It’s an amazing depiction of the relationship among God, nature and man; the experience of the laser show will take you back to the story-telling sessions by your grandparents during your childhood. You see divine figures like Indra, Surya, Agni, Vayu and Varun performing in front of you. From underwater flames to multi-colour laser rays to video projections, the technical expertise is commendable. 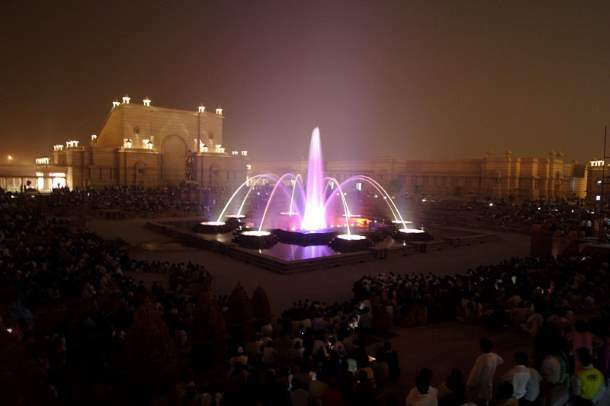 Known as the Sahaj Anand Water Show, it runs for 24 minutes and is sure to keep you on the edge of your seat. October to March when the weather is pleasant and ideal for sightseeing. Electronic gadgets and food items are not allowed. You can keep it safe at the cloakroom available in the temple premises.